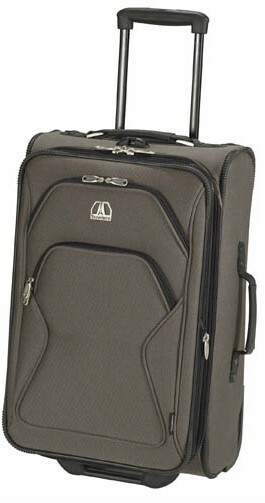 The 22" Expandable Rollaboard Suiter has a lightweight frame and it expands an extra 2.5 inches providing 30% more packing room than the standard suitcase. The ability to hang formal garments and pack more casual attire offers the flexibility for many different types of trips. Pullout identification holder and easy-access ticket passport pocket make this suitcase a convenient carry-on to have. On the Outside, these pieces are handcrafted from durable, lightweight, Polyballistic nylon, with foam backing. These features found through out Travelpros Portal Lite collection. All Travel Pro Luggage pricing includes Free domestic shipping and more. Also, no sales tax if shipped to anywhere outside the state of Michigan. On line ordering is of the highest level secure format. We have been in business for over 50 years and offer 30 day Money Back Guarantee. All Travel Pro pieces are backed by Manufacturer's Warranty. We also can gold hot stamp your initials at no extra charge, just specify desired initials under "Special Instructions" when placing order.